This headline should be the Daily News' new title. Rachel Monahan, Erin Durkin and Ben Chapman put their names on a recent Daily News article regarding teacher Eric Chasanoff aka Chaz of Chaz’s School Daze. Since then, the New York City teacher blogosphere has rose eloquently to Chaz’s defense, especially Chaz himself (here and here). See Ednotes, ICEUFT, Perdido Street School, South Bronx School and The DOEnuts blog (here and here). The piece printed up by the Daily News demonstrates the sad state of American journalism. Like Chaz, I would like to dissect the hatchet job done on his reputation, if only to show the subtle manner in which papers like the Daily News manipulate public opinion. One of the 16 teachers that the city wants to fire but can’t insists he’s no perv — and bashed officials for trying to can him for an awkward but innocent remark. The poor city, they are unable to fire Chaz. No doubt, this is due to all of those union protections that Bloomberg said would get an axe murderer a slap on the wrist. Is it a coincidence that this article was released right around when Bloomberg made those remarks on the radio? Of course, Chaz insists that he is no “perv” (way to raise the level of discourse). He does not prove, assert or posit that idea. He insists on it, like a child who broke the expensive vase insists he is innocent. On top of that, he has the nerve to “bash” officials. He does not criticize or respond to them. He bashes them like a Klansman does to minority groups. What a hateful person this Chaz is. How are we supposed to verify that Chaz actually wrote this on his blog? There is no web address or blog title. It is just proper etiquette to cite your sources. I suppose they do not want the public to hunt down the website so they can get a more balanced account of what took place. Now I do not feel so bad for not linking back to the Daily News. The problem is, that is not what Chaz actually said. 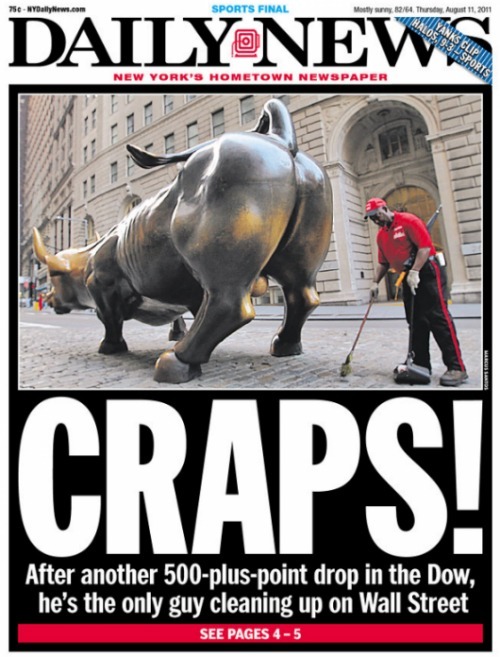 You see what the Daily News is doing here? They are technically stating a fact, since that is what the student claimed Chaz said at one point. An actual investigative reporter would have, you know, investigated. If they had done so, they might have found what Chaz actually said as per the independent arbitrator. Sure, the DOE only released the report issued by the Special Commissioner of Investigations to the Daily News. That is where they get the student’s claim from. But that claim changed during the hearing, and probably many more times between the investigation and the hearing, so why only print the SCI report? The short answer: because it was easy. Reporters have deadlines and space limits. They cannot possibly be bothered with presenting the full scope of a story. If only Woodward and Bernstein had exclusively quoted Nixon’s press releases to paint a picture of the Watergate scandal, the country would have never known their president was involved in heinous cover-up. The long answer: because the Daily News knows that stories of perv teachers kissing and grabbing teenage girls sells papers. The DOE knows this as well. They also know that papers like the News cannot be bothered with writing a balanced account of what happened. People in the big city, as well as the small city, want their news on the go. They do not want to be bothered with too many words or perspectives. Keep it short and simple. So the DOE exploits the Daily News’ constant quest for simple, juicy stories compiled in a rush by releasing incomplete information. It is a win-win. The Daily News gets their scoop and the DOE gets a major media outlet to make their case for destroying teacher protections. Yup, it is a win-win scenario. The only losers are the students who stand to lose their most experienced teachers. She said he had previously put his hands on her shoulders to calm her down before the test, grabbed her elbow on the way into the classroom the day it was handed back, and appeared to be looking down her shirt when he made the kiss remark. She did say this, did she not? Again, this story changed once she got in front of the arbitrator. In fact, the arbitrator found that this did not happen at all. The flighty words of a teenager are print worthy things in this day and age I suppose. Maybe teenagers can write all of the articles for the Daily News. When I was a kid, I told people that I was going to play third base for the New York Yankees. Can we run a juicy headline about Alex Rodriguez having some competition? Maybe we can get his thoughts from his blog that we refuse to actually cite. And the fact that, as it turned out, I do not play for the Yankees? Irrelevant. But Chasanoff, a 15-year veteran who makes $80,987 a year, had been warned before. He was reprimanded in 2002 for putting his arms around a student’s waist, an incident he doesn’t mention in his post. Ed. Note: This story refers to a letter of reprimand received by Eric Chesanoff for a 2002 incident in which he allegedly put his arms around a student’s waist. Although the Department of Education recently supplied that letter to the Daily News, we have since learned that an arbitrator ruled in 2004 that the allegation was false and ordered the Department to remove the reprimand from Chasanoff’s file. It is pretty obvious why Chaz did not mention this on his blog at first, is it not? If not for the work of Chaz, along with the other NYC teacher bloggers, this little tidbit would have never made it on to the Daily News website. After all, it is not like they are going to do any investigating for themselves. The problem is, this is not the only part of the article in need of retraction, as we have seen. Ah, the famous “rants” comment. Chaz is a ranting, bashing lunatic! And look, he wants to outlast Bloomberg and Walcott in their “children last” program. That is impossible. Does he not know that Bloomberg is mayor for life? When the term limits expire, he just pays for more. Is Chaz saying he wants to outlive Bloomberg? That’s impossible too. We all know that Bloomberg does not smoke or eat any trans-fats. He does not have to put up with those pesky things that give other politicians heart attacks, like democratic processes. When the democratic process becomes too cumbersome, he just waves some money at it and it goes away. Bloomberg is immortal. And the DOE’s motto is Children’s First, Chaz. This is just another example of Chaz “bashing” and “ranting” against Lord Bloomberg. We all know he puts children first, always. That is why he released the teacher data reports. The parents have a right to know if their children’s teachers are crummy. It does not matter if the margins of error on those reports are so large that they render the numbers utterly useless. Bloomberg is all about transparency, except when it comes to releasing information on the mess the 911 system has become. Mayor Bloomberg blasted the arbitrators Friday. “Maybe if you were a serial ax murderer you might get a slap on the wrist,” he said. Notice how Bloomberg does not “bash” or “rant”. This despite the fact that what Bloomberg said is more out there than anything Chaz was quoted as saying in this article. He blasted the arbitrators just like a superhero with a ray gun. There are no excuses for this type of reporting. It is shoddy, shallow and biased. Ben Chapman has been making his rounds on the blogosphere giving a whole bunch of excuses as to why certain details of Chaz’s case were left out: space constraints, editors’ decisions, incomplete information, the list goes on. One wonders why he would put his name on something over which he had so little control and into which he put so little effort. This is the sad state of reporting in the United States. While teachers are held to a ridiculous standard of accountability, like getting fired for comments they make on Facebook and getting their names in the papers for their students’ test scores, reporters get a free pass. They can be biased, half-report stories and put their names on things over which they had little influence. Speaking of which, the Daily News was right there to publish teacher data reports, despite the criticisms of teachers who said that their teaching is not the only factor in their students’ test scores. It did not matter to publications like the Daily News. They were there to shame us like the rest of the media. The biased rants of the Daily News against human beings who dare to make a career out of teaching is shameful. If this is the Fourth Estate, no wonder why we live under a Reign of Terror. This entry was posted in An Embattled Career, education reform, School and tagged Ben Chapman, Chaz, Death of Journalism, education, Eric Chasanoff, Erin Durkin, Media, New York Daily News, Rachel Monahan. Bookmark the permalink. What a great article…..hope the worms at all these biased papers get to read it. We know the DOE’s special team…who monitor these websites will certainly get to this. The most important part of this story..(all of it).. Just proves that the NYCDOE and the press work together. It is evident. They both have the same agenda…. To expose all teachers as the monsters they really are…and their huge salaries. I did the math once…and when you get to the end of the problem…a teacher basically makes $7.50 cents per hour (factoring in all the work done at home and over holidays and vacations). That certainly, is a sad fact..when you consider teachers use to put up with a system that does NOT SUPPORT them! That goes for UNION too! I think that, by in large, Chapman should get a tip of the hat for getting out there and defending himself (yes I just said that). Like you, I felt that some of his comments were excuses, but we really shouldn’t ignore the character it took to respond to some very pointed -and specific questions- that he was asked. He responded to those posts too, whereas he could have simply ignored them. Monahan took the the same approach with me on Twitter following the first DN article (where Chaz wasn’t mentioned). To me, there is a clear pattern (which I should probably write a full post about someday): these writers are at least willing to engage us around the facts that go into their pieces after we call them out by name and criticize them. While that’s probably not a good way to begin discourse in general, that IS the way that at least this discourse with Chapman began. There’s something to be said for that. As proof of that, I’d like to submit to you the editor’s note. As you noted, that note was probably partially the result of that exchange -and that exchange happened because the Chapman was willing to get in there and publicly engage in the comments of Ednotes and southbronxschool. Like you, I think that there is a battle waging over the reputations of good teachers in the city. I think there is a victimization underway that rises to the level of witch-hunt. I think it’s fairly clear who’s losing that battle, no? Wwhen a teacher posts a fb comment and has to sue just to get her job back, I think it’s obvious who’s losing that fight, right? And yet in this loss (most people won’t ever know that Eric Chasanoff is a damn good and a damn popular teacher who just got screwed), I think there is a lesson that can be learned about engaging the press: I think when we’re pissed, we should try to engage them. I’m not sure how much a difference it would make, but what’s clear (to me) from this example is that it did make some difference. Given this climate, I’ll take whatever I can get. Last thought: Can you imagine the conversation that took place over at the DN in order to get that editor’s note up? They must have been at least a little upset that the DOE gave them some info that wasn’t accurate. Retraction….clarification…..it’s all the same….what really is in order…Mr. Chapman….is that your papers start printing the whole story…instead of the DOE’s version (that, of course…is beneficial to only them).